The season of Lent in the old days, was by precept a time of fasting and repentance, so people would resort to homemade products only. It was a common and very heartfelt religious tradition, especially in the countryside. 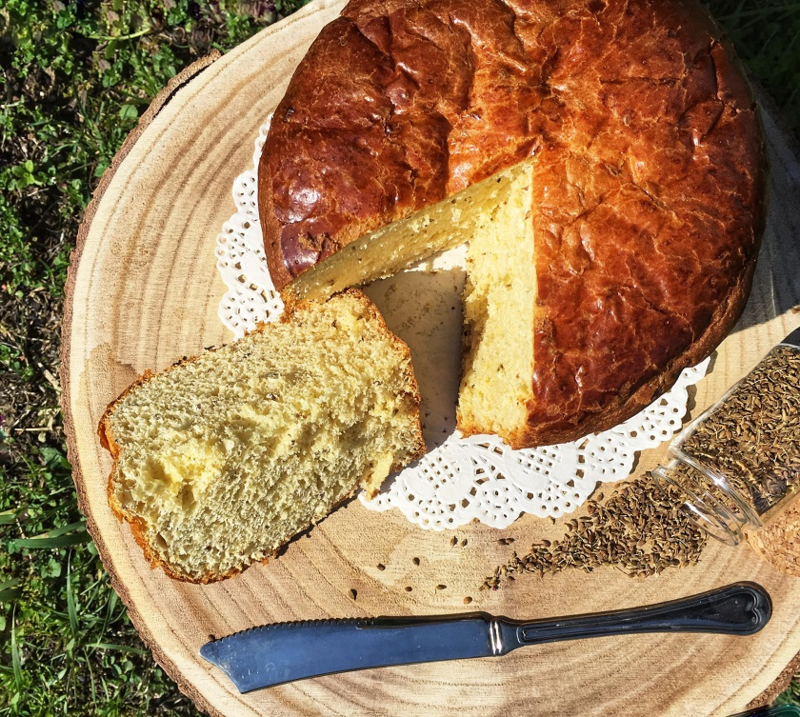 Most of the peasant families’ meals consisted of soups, polenta, lots of vegetables form their own farm or just some homemade bread and freshly picked herbs. Adding a pilchard in oil every now and then was a real delicacy that not all could afford. So no wonder on Easter, people would indulge on abundant dishes and plenty of meat, generously soaked by a glass or two of good wine! 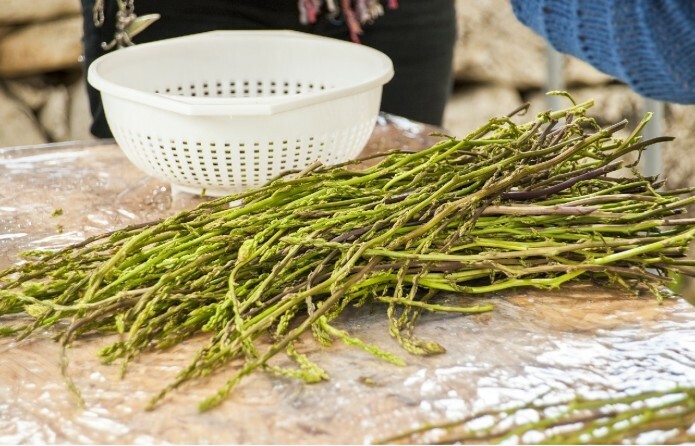 The food preparations usually began during the Holy Week before Easter, because everything had to be produced in great quantities, to be shared with families and neighbors as a symbol of gratitude and celebration. As a child, I remember a great buzz around here, of people going up and down the town’s alleys from early morning until sunset. 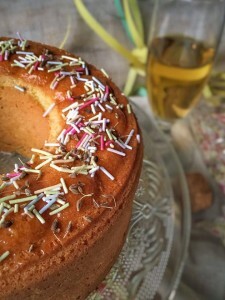 I could tell Easter was coming just by raising the nose and sniffing the air: suddenly I was engulfed with the sweetest smell of aniseed and freshly baked cake, that used to come from the town’s wood-fired oven. Yes, because at that time, there were no household appliances and not everyone could afford to have their own oven. So during the Easter rush, when women used to prepare lots of oven-baked goods, they had to run up and down the main street with their kneaded doughs to reach the town’s oven when their turn came. Imagine that oven working day and night to bake hundreds of pans of traditional delicacies, which they would take back home once baked. Of course the smell that filled the air back then, was astonishing! I bet now you’re pretty curious about what actually did they bake, right?! 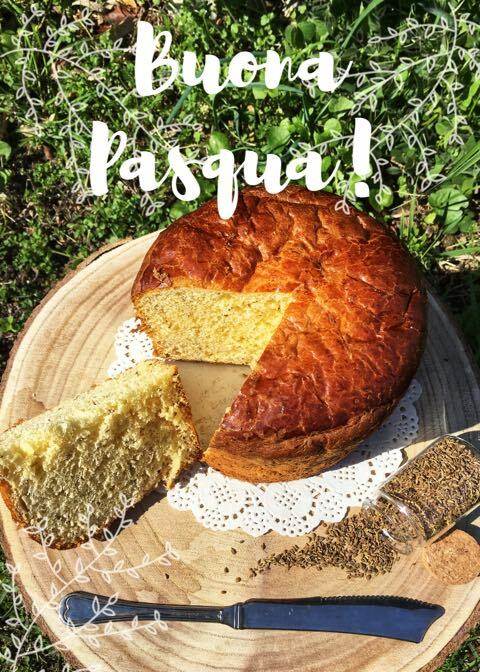 Well, here in Tuscany, we have a special sweet tradition, called “la Sportellina” or “schiacciata di Pasqua” (literally the Easter squashed bread). 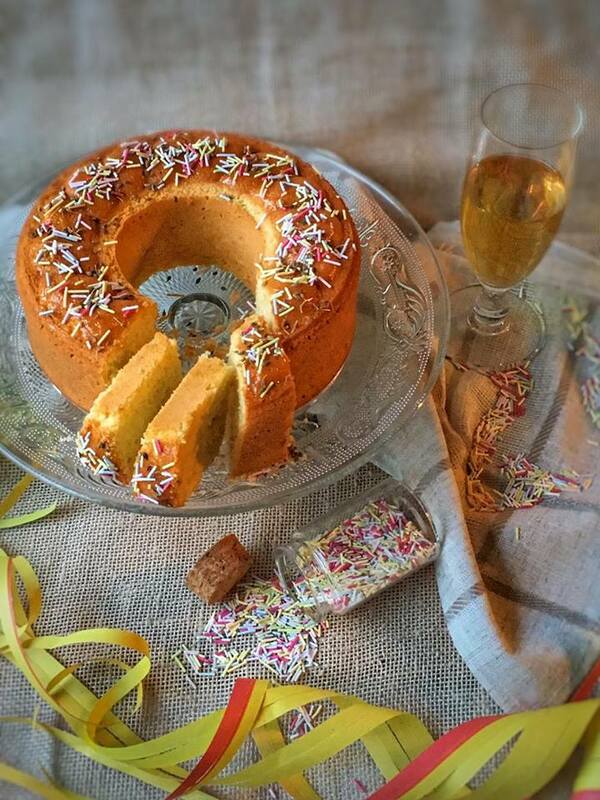 It’s quite a funny name for a cake that looks anything but squashed, I know! But actually the name comes from the great amount of eggs that need to be cracked (squashed) into the batter. You see, the connection between ancient traditions and nature is always amazing, because once again nothing is random: at the beginning of the spring season, hens used to lay more eggs than usual, and they had to be consumed pretty fast, since there were no special storing procedures like nowadays. 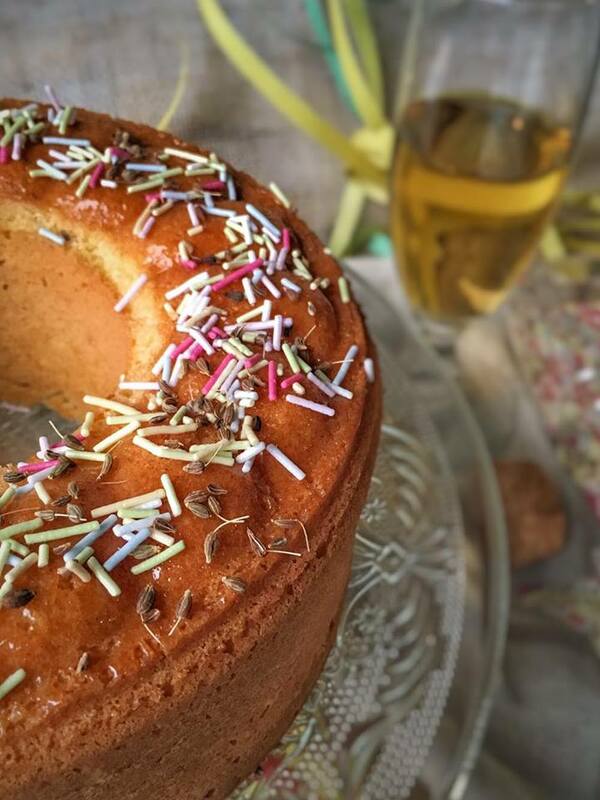 So this Easter cake – like most of this season’s cakes and dishes – was just the perfect way to consume quite a few eggs. 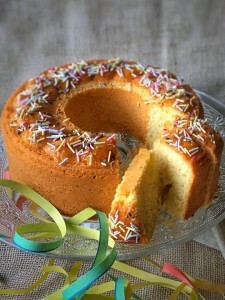 As I said, our mothers and grandmas used to prepare this traditional cake in large quantities, during the Holy Week. It would take a lot of work and patience to make this recipe, due to the rising and baking times, which were very long. Imagine they had to knead and allow the dough to rise, again and again for no less than 5 times, before baking it! That’s another one of the reasons why these cakes were being made in large quantities. Some pieces were then being wrapped and given to the family’s guests and neighbors, others were being offered to the church, to be served on the way out, after the Holy Mass on Easter day, and a few were being left for breakfast in the days after. In our days, when everything seems so rushed and we’re always in a hurry, it’s hard to think of dealing with such a long and delicate preparation and of course we all know you can easily find it at the supermarket. 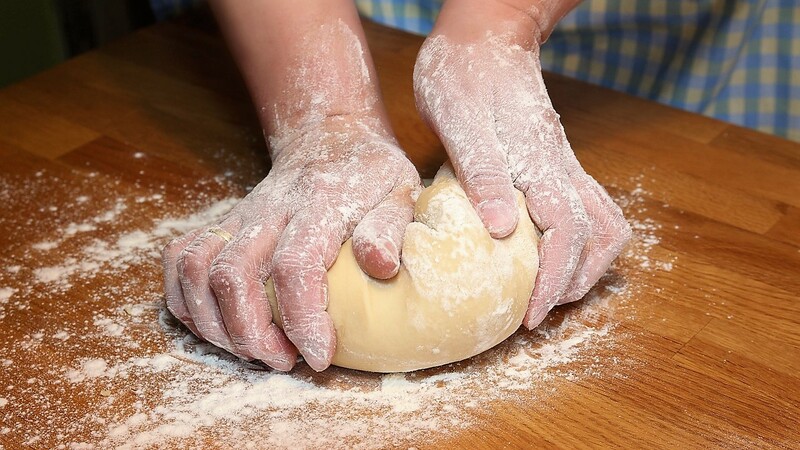 What you don’t know is the feeling you get when you dip your hands into that dough and start kneading. You take that moment just for yourself, to clear your mind and let your thoughts run free, while the sweet smell of aniseed and mint liqueur fill your nostrils enough to take you back to your childhood days. It doesn’t matter how long it will take, it’ll all be worth it when you see that precious little piece of dough come up and become brown, making you feel proud for once again having kept the tradition alive. First of all dissolve the brewer’s yeast into the warm milk, then gradually add in some flour (about 300-400 grams) and start mixing until well incorporated. Knead it into a ball and put it in a bowl to rest for about 2 hours. After two hours, mix in 3 eggs, 150 gr of sugar, 40 gr. of olive oil and another 400 grams of flour. Then let it rest again, in a warm place until it doubles the volume (this time will take about three hours). 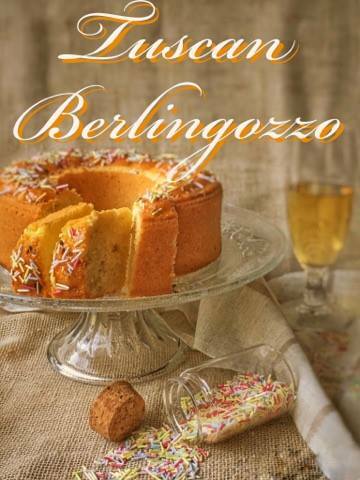 For the third step, add in 2 eggs, 150 gr of sugar, 40 gr of olive oil, 25 gr of mint liqueur, 25 gr. of maraschino and again 400 gr. of flour. Knead it again until all ingredients are well combined and leave it to rest for another 3 hours. Finally, mix in the rest of the ingredients and knead it for a while, then give it a final 3 hours rest again. Divide the batter into 3 equal parts and put them into the baking moulds (we use the same ones as for Panettone). Put the moulds in a warm place covered, and let them rise for 4-5 hours, or until the double their volume. Brush the top of the cakes with the beaten egg and then bake in a preheated oven at 180° C for about 50 minutes, or until the surface becomes brown. Leave them in the oven to rest for 10 more minutes and then let them cool completely before serving. You can keep the cakes in a plastic bag, in a cool dry place for up to one week, so you can actually bake more pieces and offer them to family and friends as an Easter gift, or you can just have a wonderful breakfast everyday for a whole week! Enjoy! 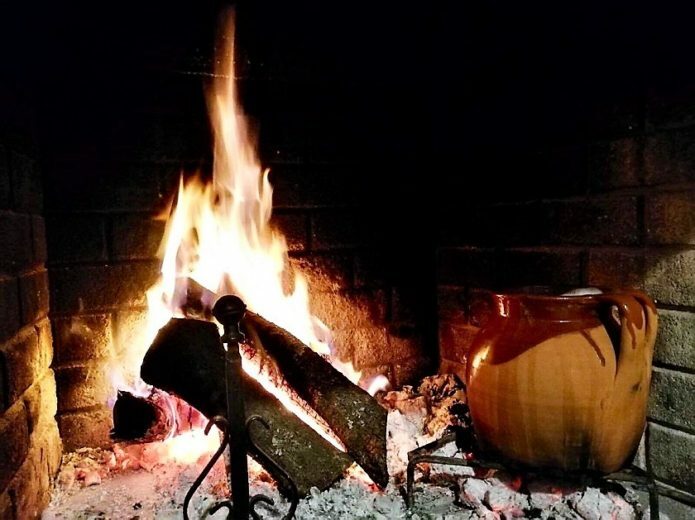 Tis’ the season to get cozy around a warm fireplace and dive into a delicious hot bowl of soup, while watching the bright yellow leaves being blown by the wind outside. It’s everything you need, to warm up a chilly winter day! Ok, I know it might sound dramatic a little bit, but seriously, with the cold windy and rainy days we’ve had lately, the temperatures went down even here, in the ever-sunny Tuscany. We’ve even had a couple of snowflakes, mostly over the hilly areas. But hey, it’s December! 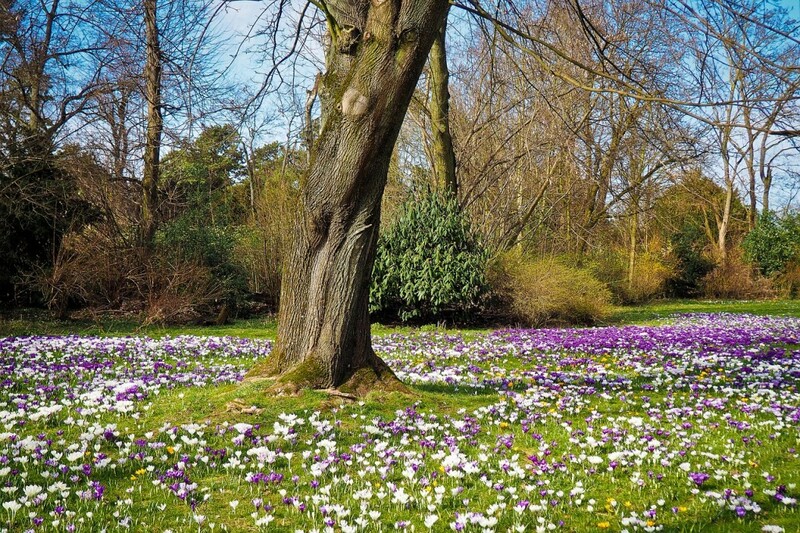 So while Nature is making its way into the long winter slumber, the rhythms slow down and we can enjoy our home and family gatherings a little bit more. It’s one of our favorite things about the cold season. 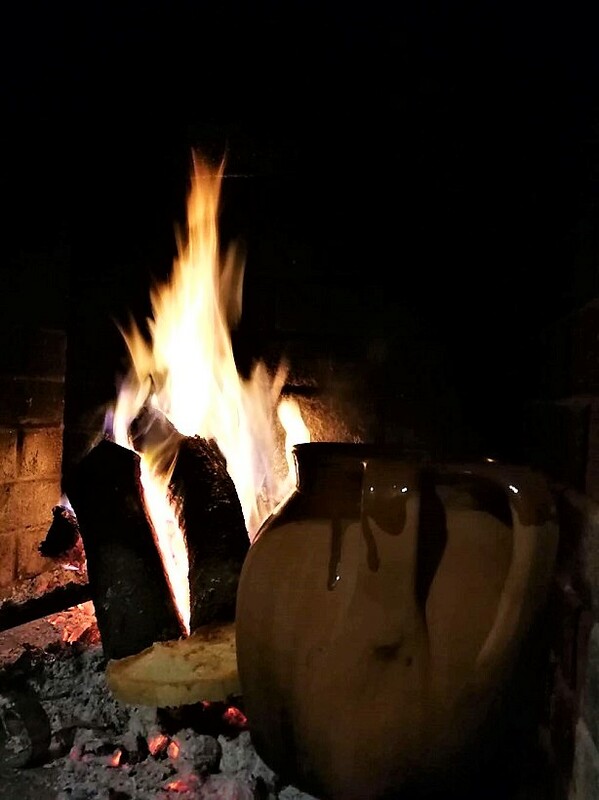 In older times, a chilly winter day in the countryside was often warmed up by a pot of hot vegetables soup, the ‘ribollita’ or ‘minestra di pane’ (bread soup). 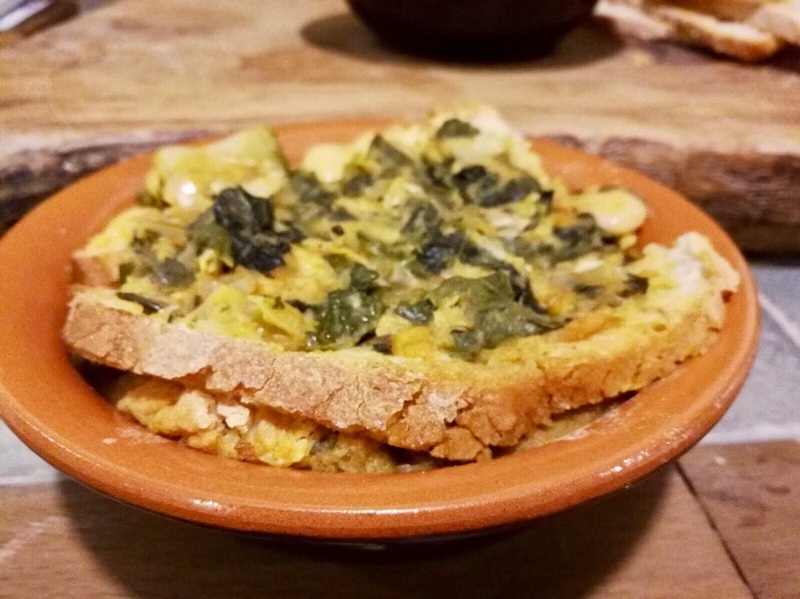 A typical peasant dish made from scratch, that deepens its roots in the Middle-ages. Farmers used to prepare a big batch of this hearty vegetable and beans soup, usually on a Friday so they would eat it over the weekend. That’s because not only did they had to make it last for as much as possible to feed the entire family, but it turned out to be even better the day after. So initially they ate the soup with a lot of white Tuscan bread chunks dipped into it (‘minestra di pane’- bread soup) and then re-boiled the leftovers the day after (‘la ribollita’ – the re-boiled bread soup). To this day, the Tuscan bread soup still remains the best way to keep us warm during the cold season and load up on our daily helping of vegetables, because of its perfect combination of carbs, legumes and veggies. 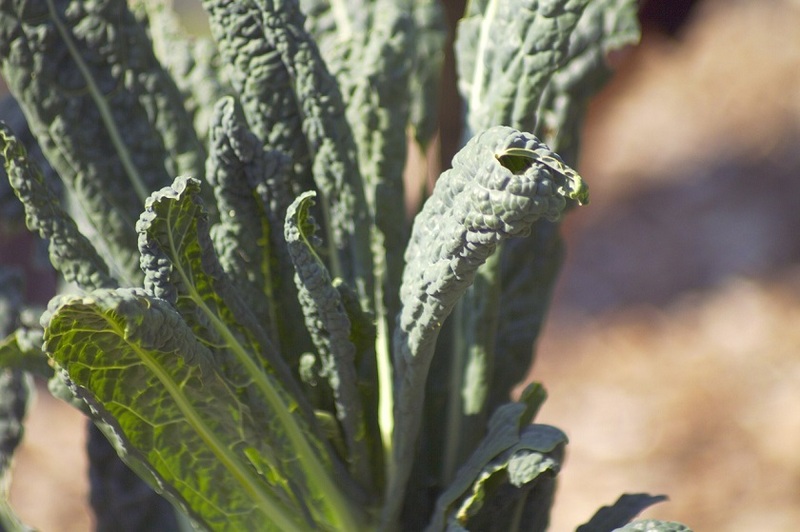 The main ingredient, the one that and gives the whole character to this dish, is the Tuscan kale (or lancinato kale). It’s mandatory for an authentic taste, because you can’t name it ‘ribollita’ if you don’t have the black-leaf kale. We call it ‘cavolo nero’ (translated black cabbage), and it’s a leafy, dark-green type of cabbage, packed with more than 50% of the RDA of vitamins A, C and K, and rich in antioxidants and other essential nutrients, not to mention it’s very low in calories. 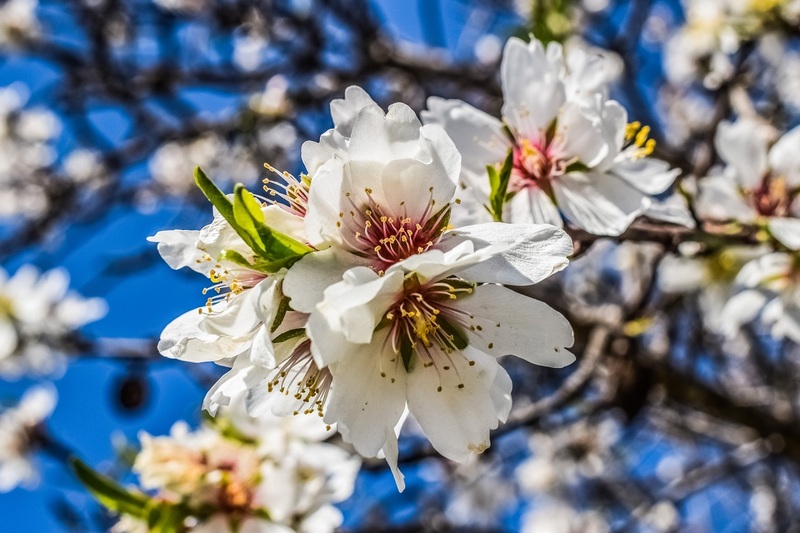 You can find this super ingredient in every Tuscan farmer’s orchard, from November through spring and it’s best eaten freshly picked, during the cold season. So let’s cut to the chase and talk about the best recipe of ‘Tuscan bread soup’ you’ll ever have. This has been passed down through generations and it’s part of our family’s comfort food cookbook. It’s so simple you can’t go wrong, and so delicious that it’ll fill your house with that special dinner smell that’ll make your tummy rumble. In a large pot over a livery fire, pour a generous amount of extravirgin olive oil and add the prosciutto, the carrots, the celery and the onion well chopped. Cover with its lid and stir-fry for about 5 minutes. Add in the rest of the vegetables cut into pieces, the thyme and the beans. Make sure you keep the pieces quite small, the soup should be thick but not chunky. Now pour in at least 1 liter of hot water and 3 four-fingered pinches of salt. Lower the flame, and cook for at least 90 minutes, covered with a lid. Serve this soup piping hot, with a grinding of fresh pepper and chunks of Tuscan white bread dipped into it, stingily rubbed with garlic and generously sprinkled with Tuscan extravirgin ‘olio novo’. A night in the fridge will encourage all the flavors to blend together beautifully and all you’ll need to do the next day is bring the whole pot to a boil again, and enjoy a hot bowl of wonderful ribollita. 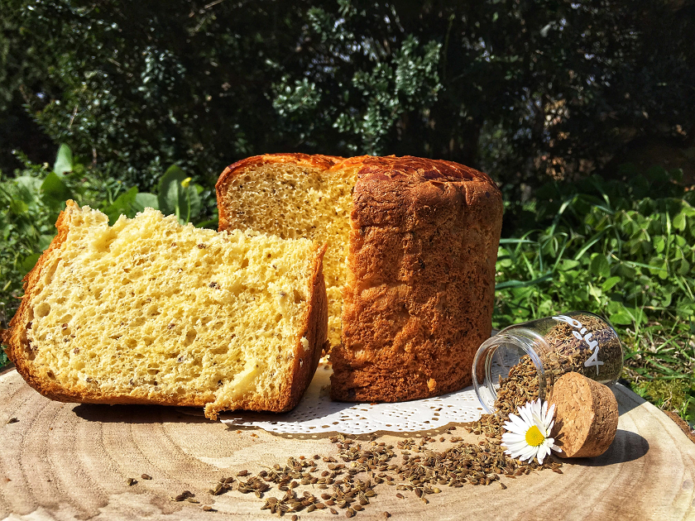 The season is just right to taste this Tuscan basic recipe, so why not give it a try and amaze your family with a new delicious and super-nutrient dish that will delight your senses and warmup your winter holidays! Oh, and remember: when in Italy during the summer months, please don’t ask us for a pot of ribollita, it’s definitely off season! Have a holly jolly winter everyone! 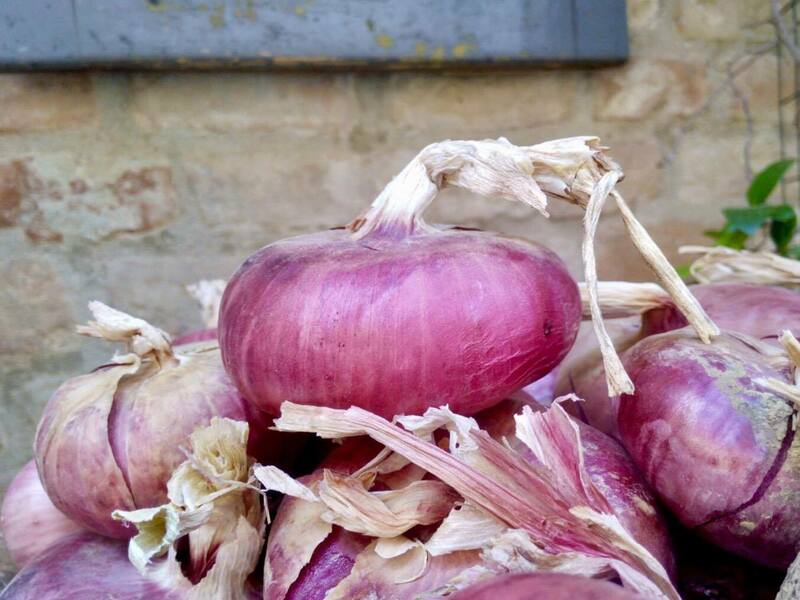 This is just a small evidence that Certaldo’s red onion, has been known from way back, even before the middle-ages. We’re talking about a slow food presidium and product of excellence of our territory, which you can find in two varieties: the Stantina, a round purplish onion, with succulent flesh that’s best eaten during the summer months, and the Vernina, the bright red and sour tasting type, harvested from the end of August all through the winter season, and symbol of Certaldo. 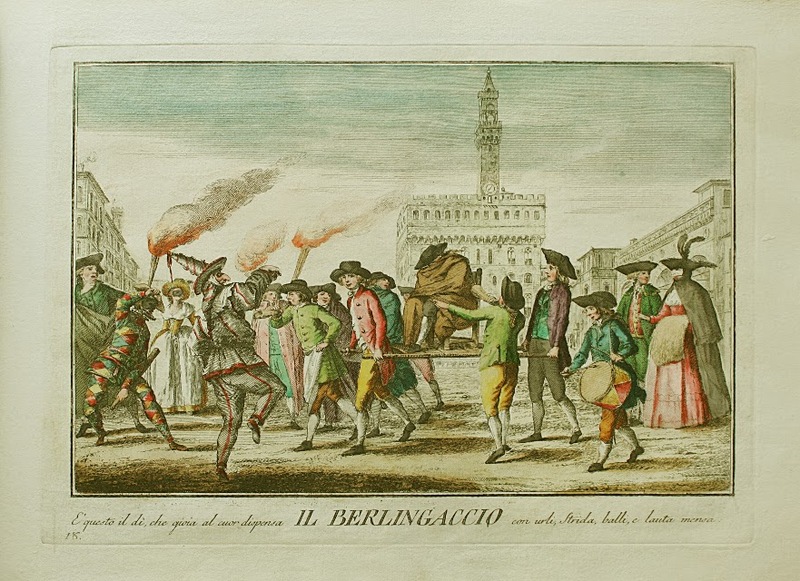 But if we look even further back, way prior to Giovanni Boccaccio’s Friar Onion, the red onion had already been adopted as a symbol of the hardworking strong spirit and sweet temper of Certaldo’s inhabitants, and thus represented on the town’s pennant. So it dominated the white side of the two-tier shield, with the motto: “By nature, I am strong yet sweet and everyone here likes me, those who work and those who sit”. However, in 1633, the Priors running the burgh, decided that it was an unworthy crest for their town, and replaced it with a rampant lion. Later, in the XIX century, the city council would have re-established the original crest that you may see today on our town’s flag. 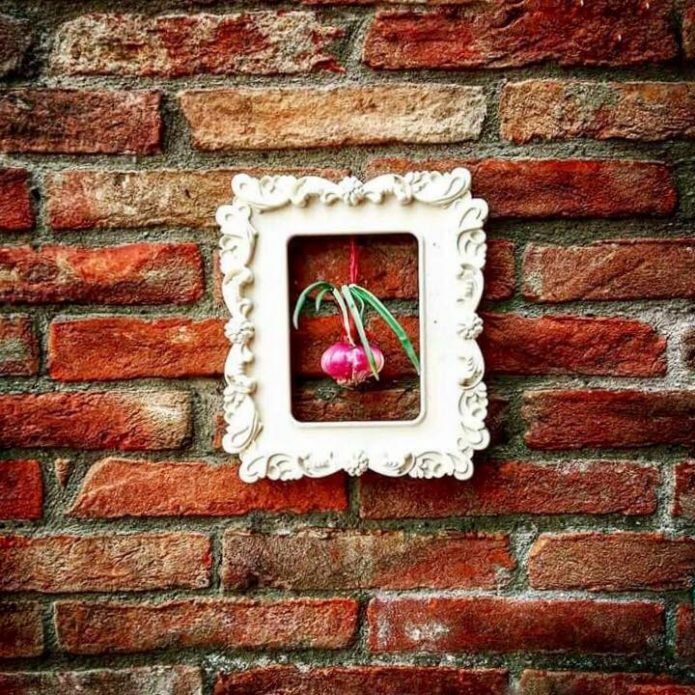 Anyway, don’t expect to come across onions at every corner, when visiting Certaldo. Almost every farmer here grows its own, for their families’ consumption or local trading. 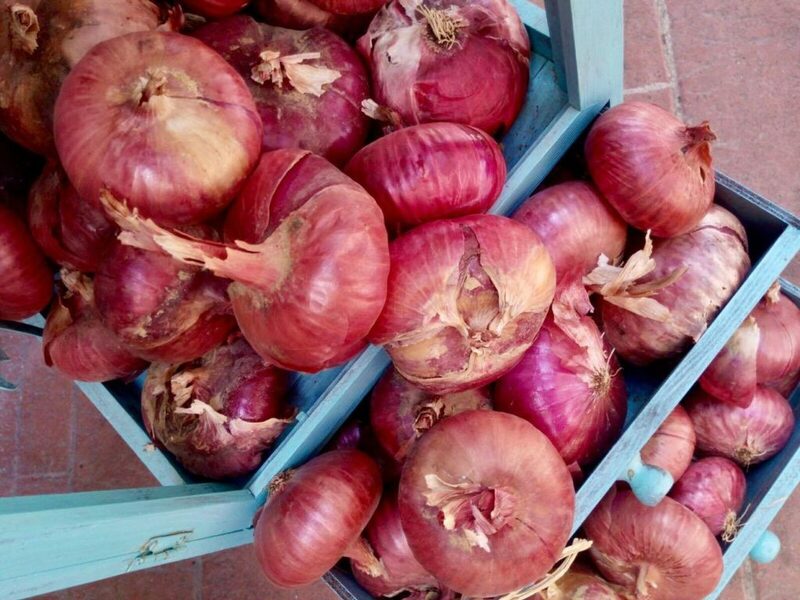 So if you’re curious and looking for these sweet red gems, your only chances are the weekly local markets on Wednesday and Saturday, or the annual Sagra della Cipolla (The Onions’ Festival). Since we are very proud of this marvelous product of our area, we keep the tradition alive, by celebrating it every year, with a week-long festival. It’s being held in the old burgh of Certaldo Alto, every year around the end of August, when our farmers harvest the Vernina type. Every evening, we gather together to taste the exquisite dishes prepared with the red onion, following ancient recipes that have been passed down through generations. There are people that live here, sitting together with others that came from different counties, or even tourists; banqueting, enjoying the good food and lots of Chianti wine from the local producers, accompanied by theater plays or themed performances. Keeping the old recipes and traditions alive is the main purpose of this event, but we also like to look forward to the future generations. 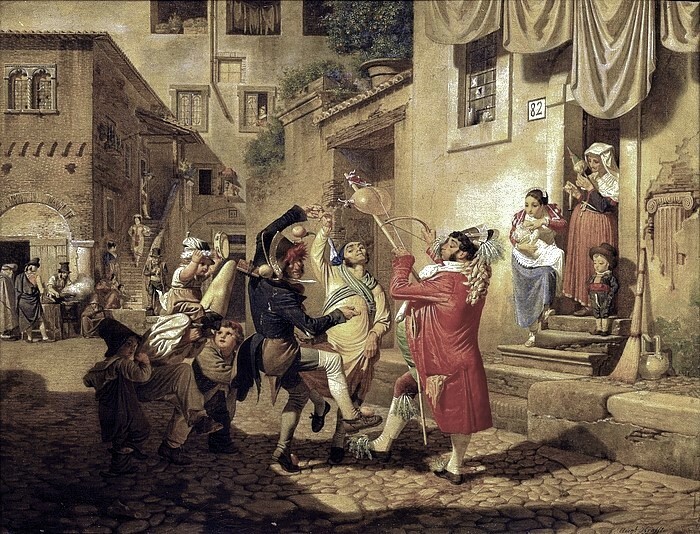 So on the second-last day, the festival hosts a food competition between the town’s quarters, which anticipates The Calambur: Certaldo’s medieval Palio, due to take place a few weeks later. During the food competition, every quarter has to come up with a new and creative dish, made with red onions. A committee made by people of the public gets to taste and decide on the best recipe. This year’s competition is not going to be a simple one, as they have to create a desert! 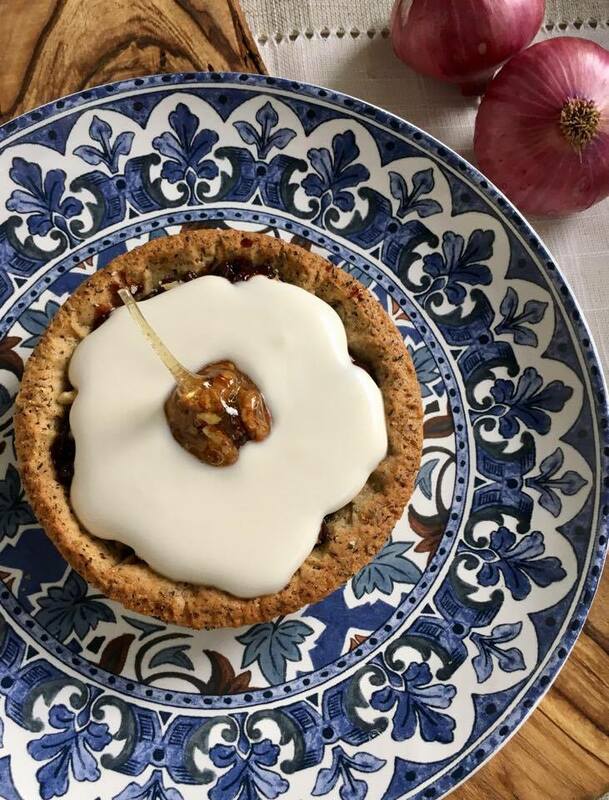 I bet you’ve never thought about onions for desert, but let me tell you that you might just be surprised by the genius recipes and mixture of flavors that these people have come up with, over the years. They’ve gone from making the ordinary soup, pasta and meat dishes with the red onions, to pickling, canning, making jam and jelly, adding them to chutneys, sweet and salted pies and even using them as homeopatic medicine, following ancient remedies left down by our grand-grand-parents. Practically, if you love red onions like we do, you can do just about anything with them! 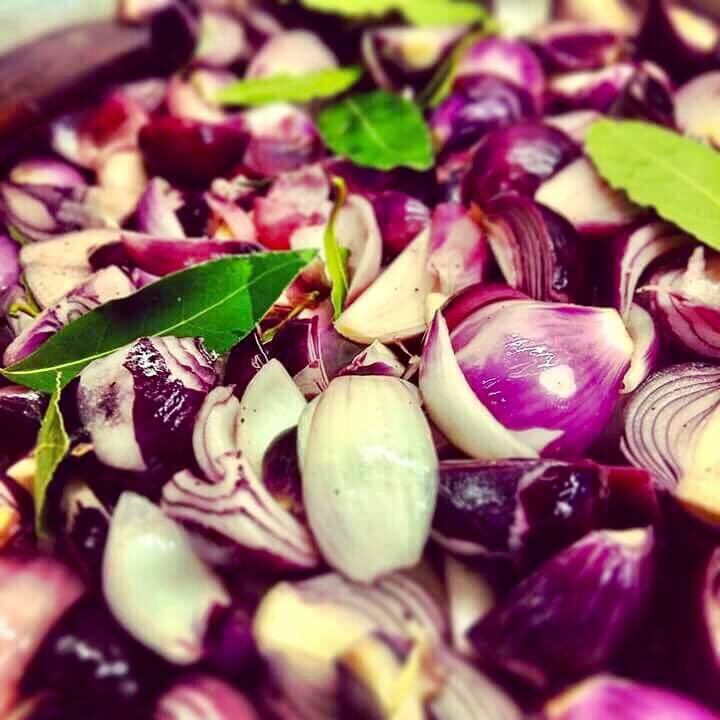 At the Cooking School we make our most famous -handmade- Certaldo’s Red Onion Jam. It’s a family tradition, that has been taken forward for generations. It has a bitter-sweet taste and pairs perfectly with local pecorino cheese and salami, or Giuseppina’s special pork tenderloin in old-style dry marinade… to die for! So if all this onion talking has captured your curiosity and you might want to try some onions for desert, here’s a special treat for you. 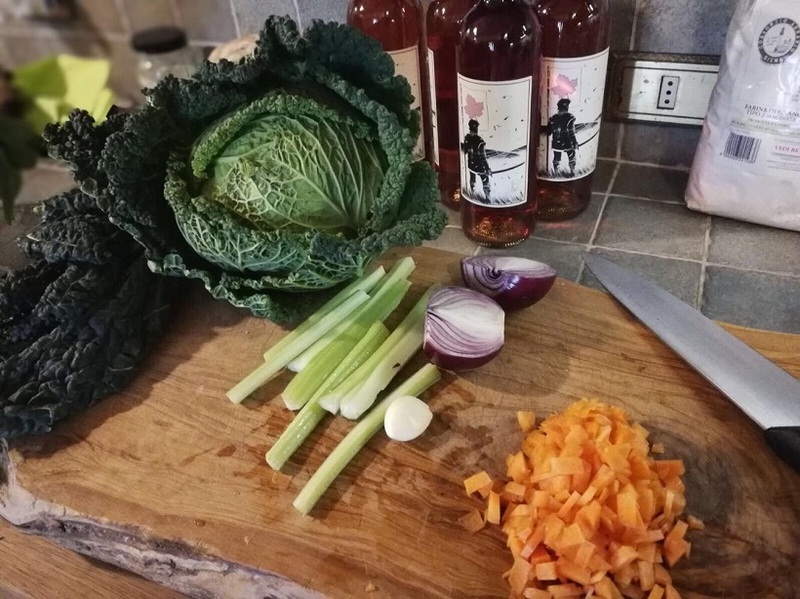 It has been created and shared by a friend of mine and I’m telling you: if you’re into onions, you have to try this one! Did we get you mouth-watering yet? Then here’s the recipe for you! Finely chop 2-3 sweet red onions from Certaldo and add them in a pan with a small piece of unsaltened butter and 2-3 generous tablespoons of muscovado brown sugar. Put it over low heat until softened but not brown. Add a glass of Chianti red wine, a pinch of ground cinnamon, ground cloves, a few cardamom seeds and some pink pepper granules (or any other spices you prefer). Allow the liquid to cook off and the alcohol to evaporate, and then add in a chunk of dark chocolate. 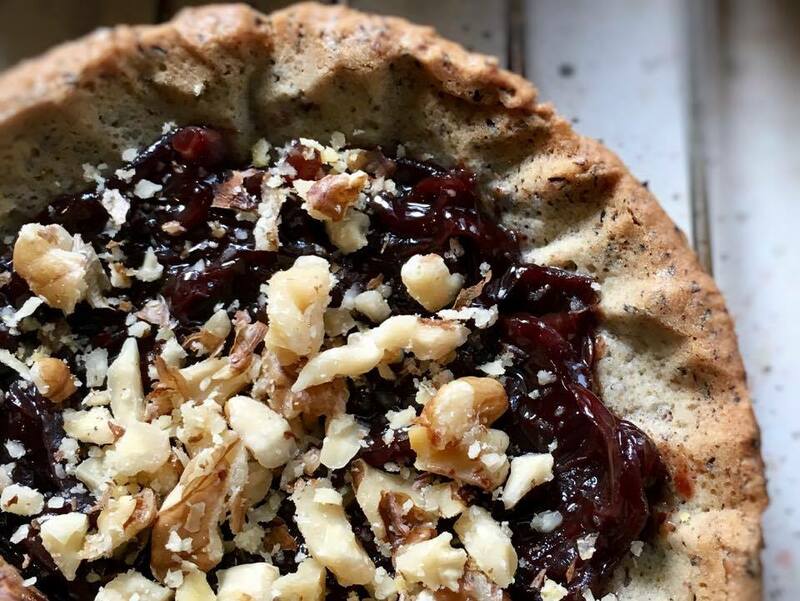 Set aside and prepare your favorite recipe of shortcrust pastry. The one you see, had a touch of rustic taste, due to replacing half of the plain white flour with buckwheat flour. Blind-bake your pastry in a preheated oven, let it cool before removing it from the pan and fill each pastry case with the caramelized onions. Add some chopped walnuts and top with goat cheese creme fraiche or vanilla ice-cream. Enjoy! Have you tried this? Post your photos in the comments below and let us know how it was! 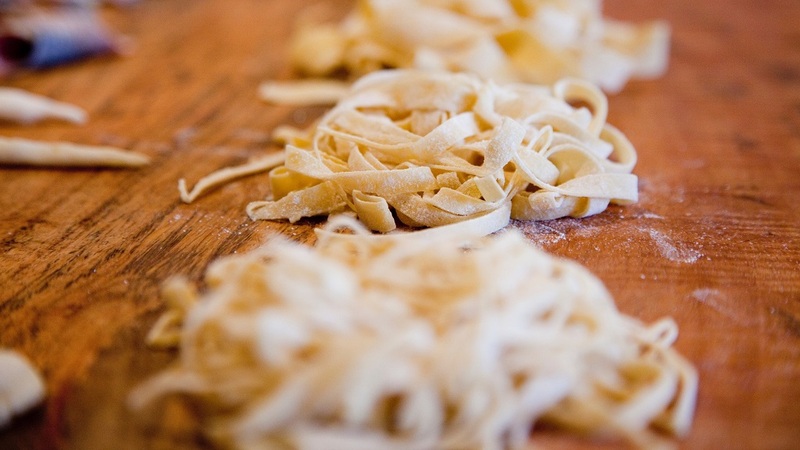 Raise your hand if you’re a homemade pasta lover! One thing I have noticed throughout the years, is that usually making fresh pasta is the favorite part of my cooking classes for our guests. I mean, let’s admit it, everybody loves the italian-style fresh pasta, and if you’re visiting Italy, pasta is one of the reasons why you’re here! So delicious, savory and somewhat chewy, fresh pasta can be complemented with almost everything from cheese to vegetables, meat, fish and even chocolate! Plus, if cleverly accompanied by the right wine, it makes the perfect Italian meal. It’s been decreed one of the healthiest and most nourishing dishes worldwide, as part of the mediterranean diet, so why be limited to just eating pasta at the restaurant every once in a while, when you can make it from scratch at home, whenever you wish. Now, I know from my experience that cooking a dish of fresh pasta could sound rather intimidating for those who’ve never tried before, or have only seen it on TV. But I have some good news for you all, and according to my experience again, I can guarantee you that even a ten-year-old can do this, and you’ll never go back to buying fresh pasta again. 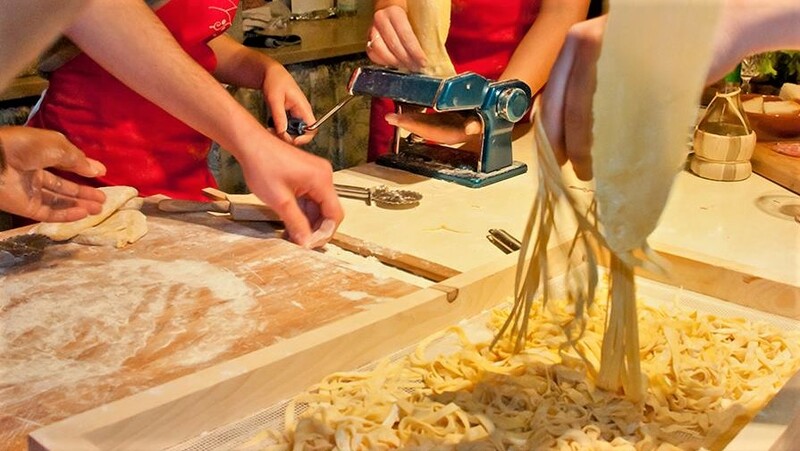 There’s something magic about making pasta at home the old way, that no one has yet managed to figure out. I myself have been doing it for years now, and every time I still have fun just like the old days. It could be the marvel of feeling the dough coming together between your hands, or maybe the relaxing process of kneading and shaping, but as soon as you get your hands on and start doing it, you’d never want to stop. Then as you go, your fantasy gets lighten up and you begin experimenting all different kind of shapes and fillings for your dough, and before you know it, you find yourself inviting your friends over for a meal and getting all the compliments and “aaaw”s and “oooh”s for your fresh Italian-style dishes. It can get really fun and become a social activity to share with your kids too; and don’t worry about the flour dust, streaked aprons and flaky bits of dough crusted on the kitchen counter. It doesn’t have to be a demanding work, so don’t loose heart if you don’t get it the first time. Just go for it and then keep trying. All you need is “an open heart and a positive attitude”, as my son Luca always says to our guests. 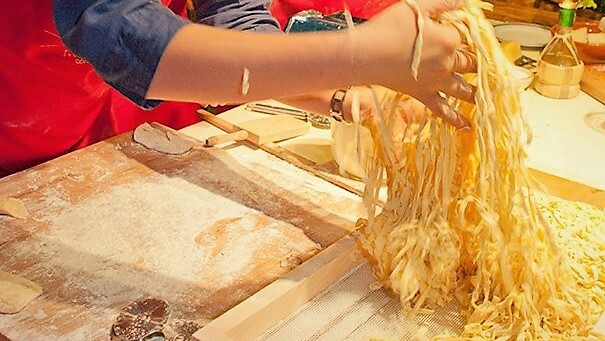 If you google fresh pasta you’ll find loads of recipes and every one will be different from the others, because every family has its own tradition when it comes to making pasta. So my intention isn’t just to give you one more fresh pasta recipe, but rather some helpful tips that I always share during my cooking classes. My guests always appreciate the little tricks and tips I reveal and become more confident as they go, letting loose and having so much fun, which in the end, is the main purpose of this experience, don’t you agree? So what’s really important is to have the right type of flour. My fail-proof recipe is based on the high-protein, finely milled “00” wheat flour, but if you have issues finding it, you can just go with the plain flour, or mix 2 parts of it with 1 part of semolina flour: this will add that slightly rougher texture that’ll help seasonings stick better to your pasta. On a wooden or marble counter, start building a so-called “fountain” and break the eggs right in the middle, making sure they are well contained by the flour around them. Then add just a pinch of salt and a sprinkle of extravirgin olive oil. 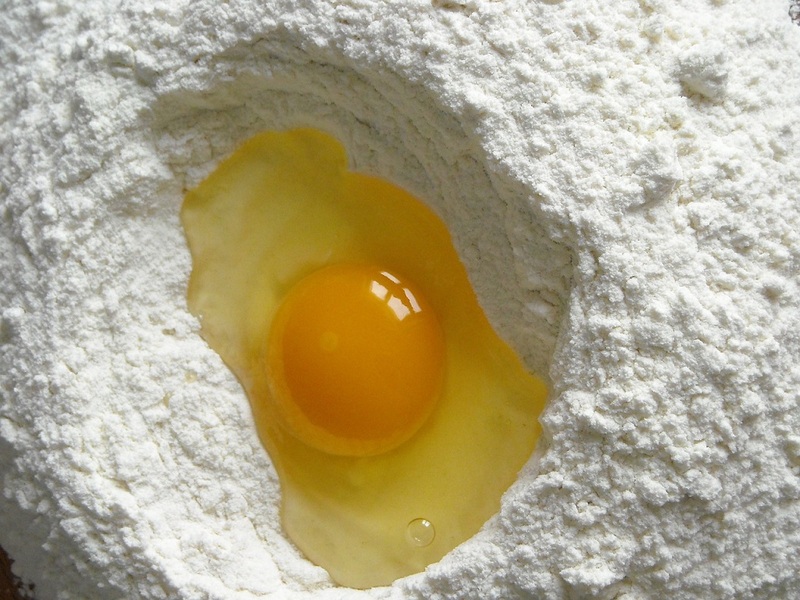 Use a fork to break the eggs and start mixing them reaaally slow, keeping everything inside the flour fountain, until everything is fully incorporated and you get a smooth uniform texture. Now here comes the fun part! I know in modern times you may be used to getting things done quickly and with an extra help from your stand mixer, but kneading by hand is another story. It really makes you feel the dough coming together and it somehow connects you to the whole process. All you have to do is press and push with your wrist, then fold the dough over and again press and push. Just go ahead and knead it like this until it’s smooth and firm, it’ll take no more than 10-12 minutes. Using hands gives you the chance to check when your pasta dough is ready – if you feel it’s still sticky, just dust the counter with more flour and keep kneading until firm and dry. Another important step in making pasta, is to give your dough the necessary time to relax and loose elasticity; that’ll keep it from shrinking or pull back as you stretch it, making it easier for you to roll it flat and shape it. Let’s say about 10 minutes at room temperature, covered by a cotton cloth, should be enough. 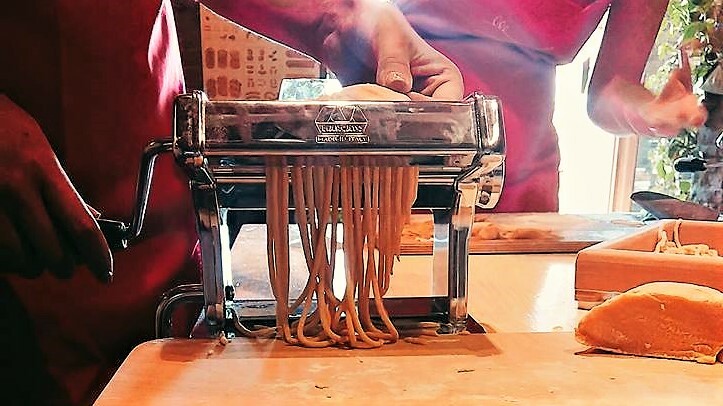 This’ll also give you the time to reorder the kitchen counter and prepare the pasta machine for shaping, or get the filling ready if you’re into making filled-pasta. 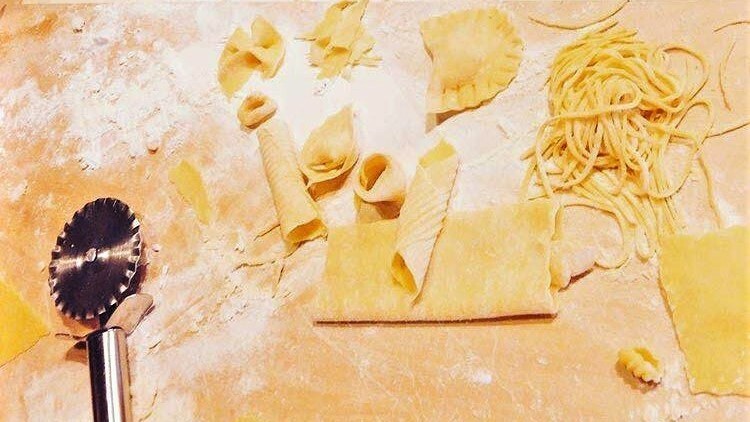 Common forms of fresh pasta have long shapes, such as tagliatelle, fettuccine, spaghetti, linguine or our specialty Tuscan pici, flat shapes such as maltagliati, or sheets for lasagna, short shapes like orecchiette, cavatelli, farfalle, trofie and filled or stuffed shapes such as cannelloni or ravioli, cappelletti and tortellini. Of course Italy has a very deep-rooted tradition for pasta dishes, and that is why every region has its own traditional pasta shapes and names, that can be totally different from the common ones you are used to. I always suggest to search for and taste the local and regional specialties while visiting any part of Italy, because you’ll never find the same dish cooked alike from one place to another. Cutting the pasta in the desired shape is also an important part of the process, as you have to pay attention to spread it as thinly as possible and always keep some flour handy, so you won’t get a sticky bundle instead of your tagliatelle nest… I always say to my guests, we want them to be fluffy, fluffy, fluffy, it makes them laugh a lot, but in the end is the one thing they remember the most. So to get that, you need to sprinkle some flour over the shaped pasta and then jiggle it with your hands. 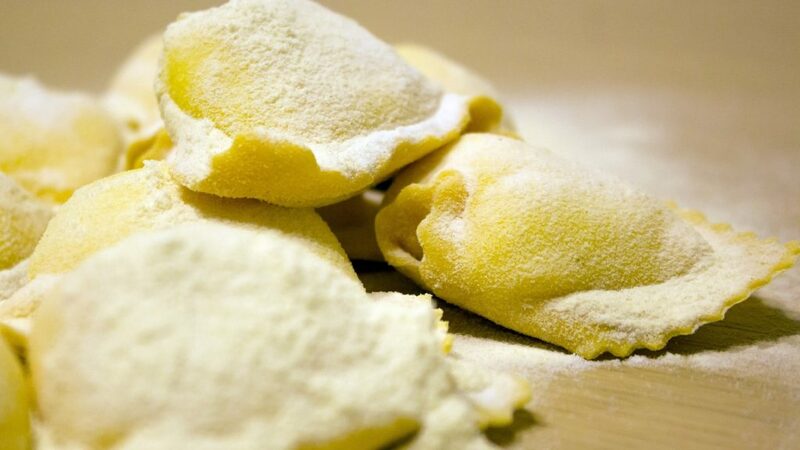 When making filled pasta like ravioli, the most important trick is to press the edges well with your fingertips or a fork to seal the dough, so they won’t open while boiling. And of course, flour again to prevent them from sticking together when cooked. If you’re not cooking pasta immediately, just let it dry on a baking sheet for a few minutes, sprinkled with flour, then fold it gently to form the nests. You can let it dry some more and then wrap it up and store in the fridge for no more than 2 days. However, I do advise you to taste it fresh, as you make it. Cooking pasta is another important step of the process, as you need to pay attention to the time: it will only take 5-7 minutes to cook fresh pasta, unlike the dried one, which needs considerably more boiling. Dip your shaped pasta into a pot of plentiful salted boiling water and add just a touch of olive oil, so the strands won’t stick together. For fresh filled pasta, always use a gentle flame and keep the water simmering instead of boiling, so your ravioli won’t break. One more thing that I always recommend, is to taste everything you cook; so to make sure it has reached the perfect cooking poin and has a good balance with the salt, just pick a piece of boiling pasta with a fork or some tongs, and give it a bite. Careful though, don’t get burned! Needless to say that pasta is at its best when cooked “al dente”, so as soon as you feel it’s tender but still firm when bitten, just drain it. At this point, you should keep the sauce or chosen condiment on hand, because pasta needs to be seasoned and stir-fry immediately. Now all you need is your family and friends gathered around the table and a good glass of wine to go with your wonderful fresh homemade pasta. Enjoy! With all this nice and warm springtime weather, people start roaming the countryside basking in the sun, away from the traffic rush, enjoying nature’s bountiful colors and sounds. 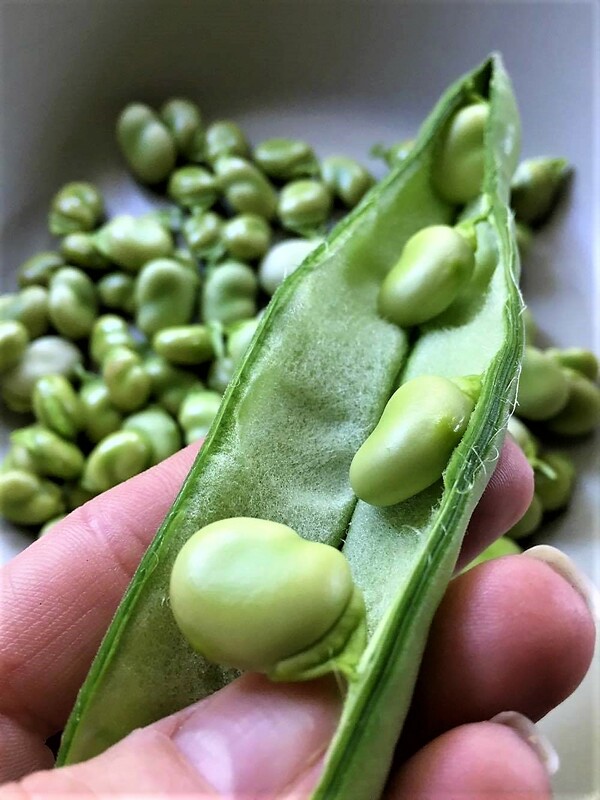 This reminds me of the time when, as a child, we used to dive into the rich fields of favas, for a bellyful of these pods, risking the wrath of the farmers, for having destroyed their harvest. That’s right, because the fava beans pods were a very precious nourishment for the farmers’ cattle, but if picked up at the beginning of the season, they would make a greedy treat for us too. 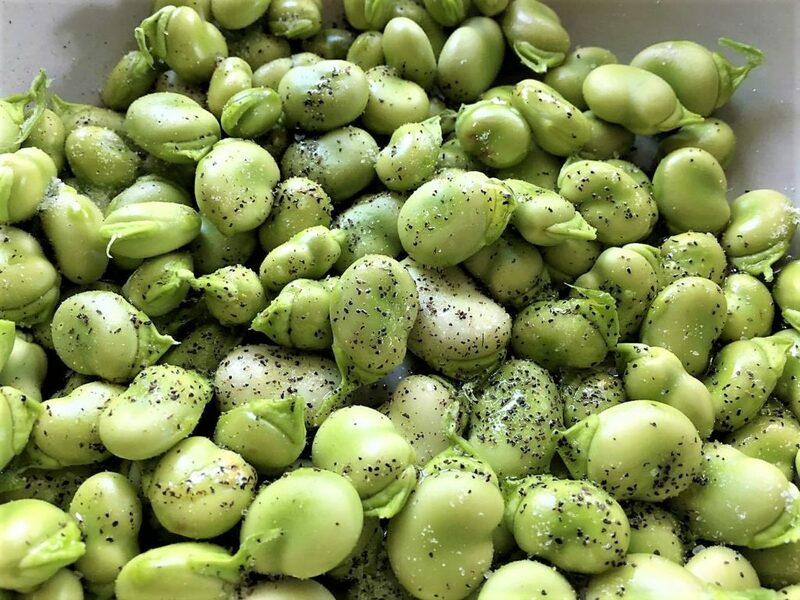 I’m talking about an ancient member of the pea family, called “vicia faba” – fava beans, or broath beans or better yet “baccelli” as we use to call them here in Tuscany. Of pale green color with a slightly nutty flavor, these pods grow from late March all throughout the beginning of May. It’s been proven they have been farmed since very ancient times, and have had an important part in the culture of many nations around the world. 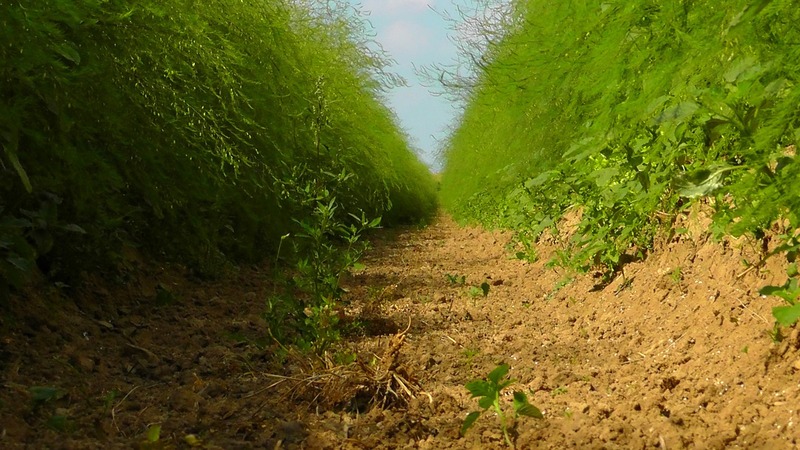 They were very appreciated in ancient Rome, so much that one of the most important noble family in the history of Romans, took their surname “i Fabi” from these pulses (vicia faba). Tracks have been found even in Troy and Crete and some say in ancient Greece, eating them was even prohibited, as the black stains on the pods were associated to death. 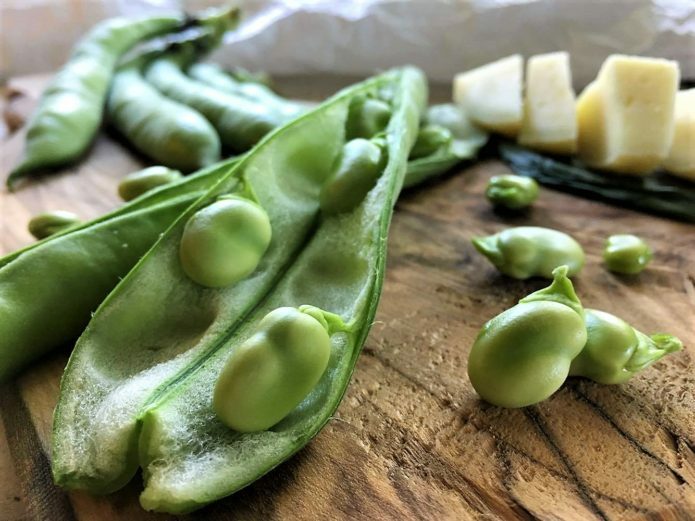 However, their important nutritional value has been rediscovered more recently, as over time favas went from being appreciated by the wealthy class to being used for commoners and cattle feeding. 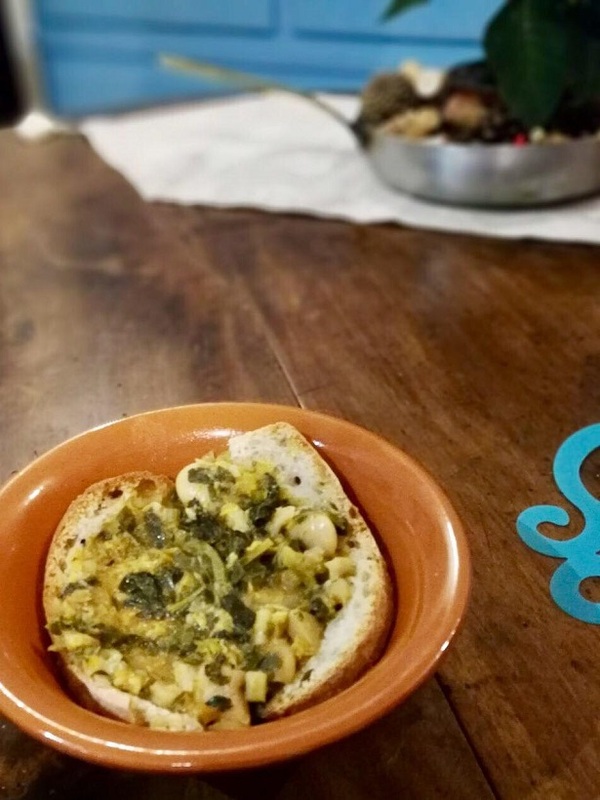 Many legends have been around throughout the years on these pulses, but the most curious one that is still circulating nowadays around here, is the legend of the “leap pod”; it’s about the strange growth that favas have on a leap year. 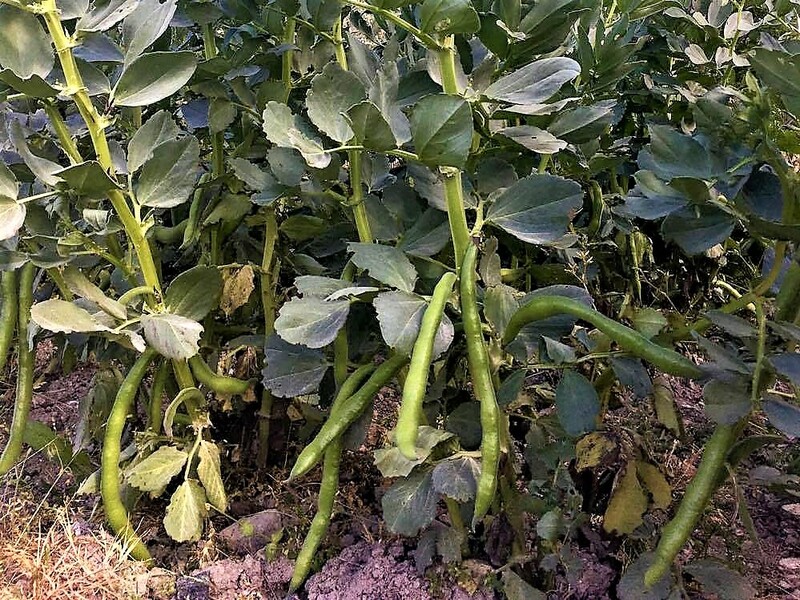 Farmers believe that on a leap year’s harvest, the fava beans inside the pods grow backwards; meaning that if you shell one, you’ll find the beans attached downward, as opposed to the stem. It’s truly just a funny legend, but you know what they say, passing on myths and legends keeps one nation’s story alive, and it can even get fun spending a lazy Sunday afternoon shelling pods to see who finds the backwards beans, on a leap year! Coming back to these days, the tender fresh picked favas are a great treat for a springtime pic nic. In Tuscany we love them raw with just a pinch of salt and a drizzle of extra virgin olive oil, combined to its inseparable companion, the Tuscan Pecorino DOP cheese; it makes the perfect snack to go with a nice glass of Chianti wine. 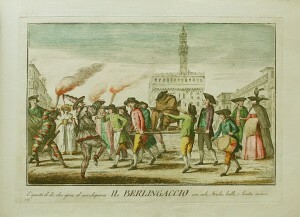 We like them so much, we even have a one-day festival called “la baccellata” that is held in Certaldo Alto, on the 25th of April this year, and helps the local church of San Tommaso e Prospero raise funds for another important occurrence, the procession of Beata Giulia in September. 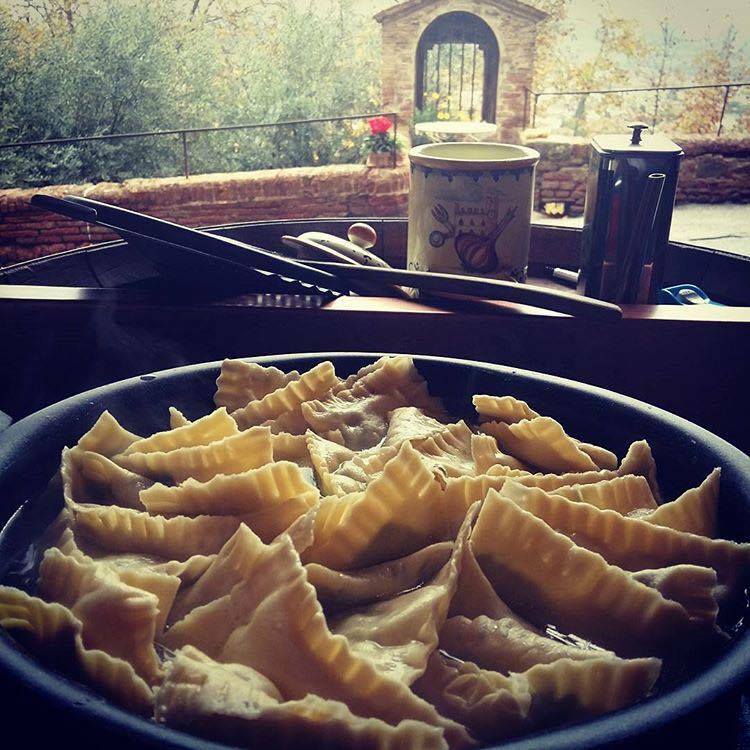 During the “baccellata” day, people gather to enjoy these tasty fresh pods together with Pecorino Marzolino cheese, a Tuscan type of fresh Pecorino, that hasn’t been seasoned and blends together beautifully with favas, in a unique delight for all senses. Another interesting way to taste your favas raw, is to make an easy and fast but very nutritious pesto out of them. 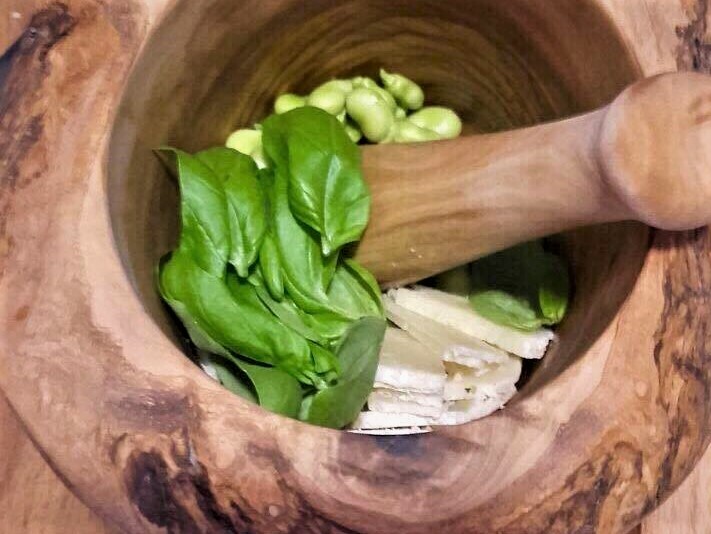 All you need is 250gr of fresh shelled fava beans, a clove of garlic, 80gr of Pecorino cheese, a pinch of salt and some fresh basil leaves if you like it. Just blend everything together and then add a splash of Tuscan extra virgin olive oil, to get a creamy texture. 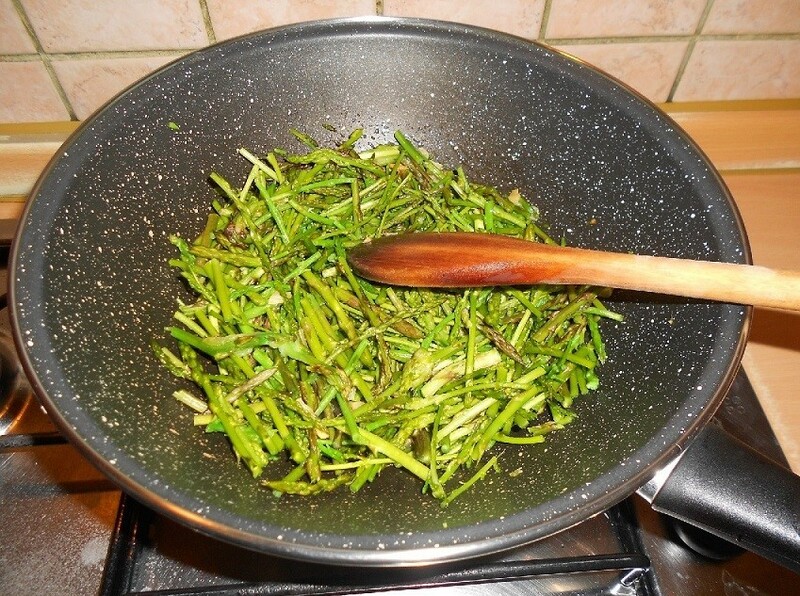 You can enjoy this delight on a piece of toasted bread (crostini), as a side dish for meat or fish or make a generous portion of pasta: just boil it until “al dente” and stir-fry everything for one minute, adding just a drop of the boiling water if necessary. 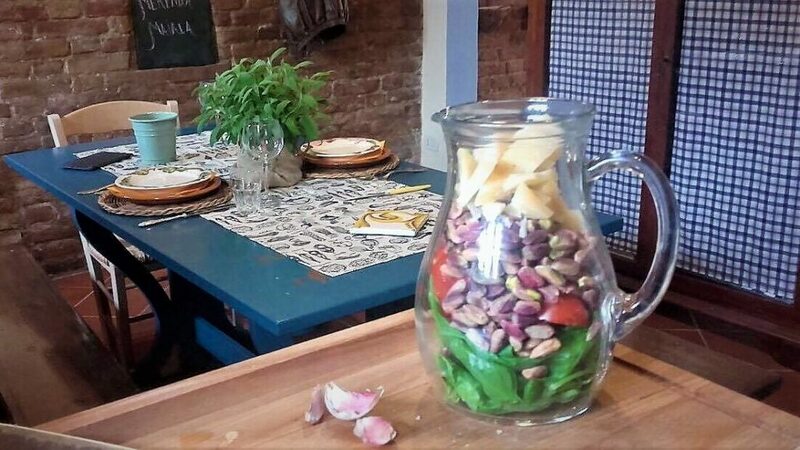 You can get creative and add some pine nuts or almonds to the mixture if you like, or just add them on top of the dish, slightly toasted. 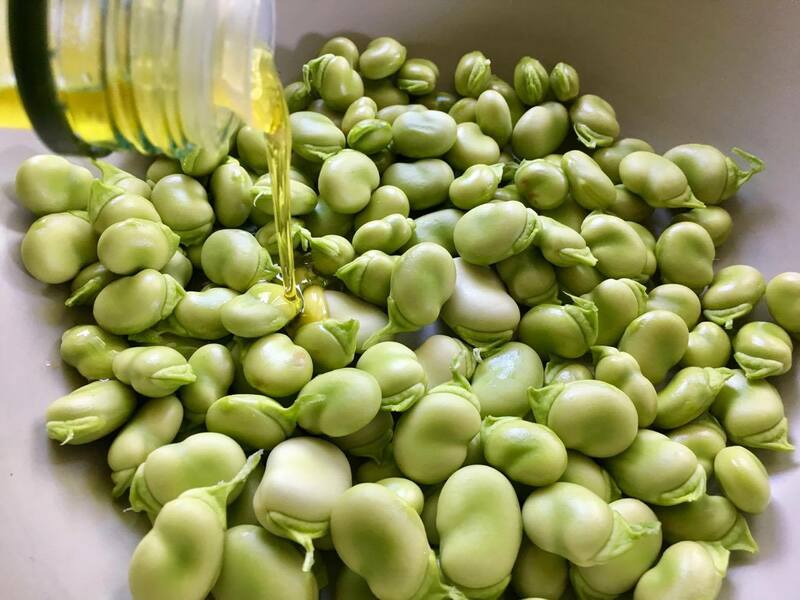 So our last tip is: when buying favas at the marketplace, if you’re in Tuscany ask for baccelli and if you wish to taste them raw, search for tender, firm pods with a velvety fuzz and small thin skinned beans inside, otherwise you’ll have to peel the skin off and to do so you’ll have to boil them for a few minutes. I guess all that’s left to say is buona baccellata (happy favas day)!! !